Precise weight distribution is critical to on track success. Setting ride heights and suspension geometry is only part of the story with vehicle setup, the four corners of the car may still be bearing different amounts of the car weight. The unequal weights on each corner can be felt as the car rolling more when turning in one direction than the other. The cars stability is compromised which will adversely affect its balance. A well balanced car is generally easier to drive quicker due to increased driver confidence, an unbalanced car will be difficult to drive and give the driver no confidence. 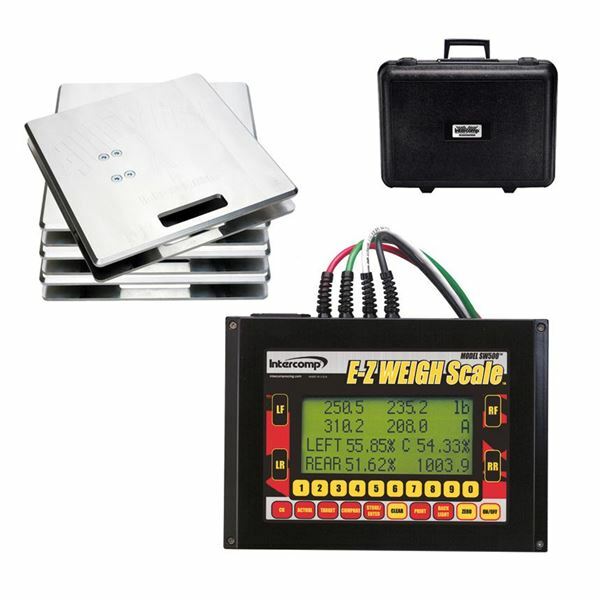 These Intercomp SW500™ E-Z Weigh Computer Scales are the ideal introduction to scale systems with all the features required to make an on track difference. Intercomp scales provide the necessary data for any racer to become a chassis expert.